Sears, Roebuck and Company. 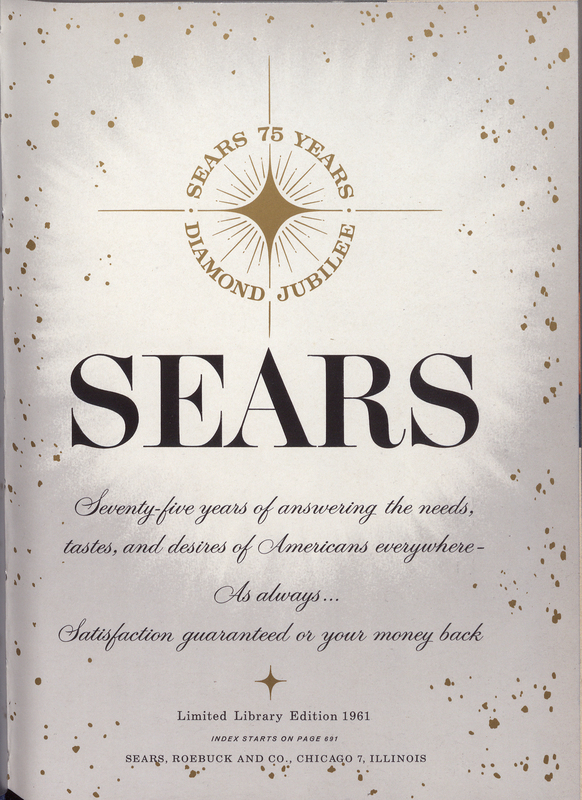 Sears 75th Diamond Jubilee Catalog. Chicago: Sears, Roebuck, 1961. Now a popular multinational department store chain that has supplied and shaped trends in American clothing for decades, Sears, Roebuck and Company was founded by Richard Warren Sears and Alvah Curtis Roebuck in 1893 as a mail order catalog. From the 1920s to the 1950s, Sears built many urban department stores that overshadowed the mail order business, expanding into suburban markets and malls in the 1960s and 1970s where it supplied general household goods and products. Sears was America’s largest retailer until October 1989, when it was surpassed by Walmart in domestic revenue.